Several years ago, Walmart executives invited a group of scientists to its offices is Bentonville, Arkansas to discuss the prevalence of potentially toxic, synthetic chemicals in consumer products. “They were really serious about saying, 'We want to be on the leading edge of doing something,'” recalls University of Missouri biologist Dr. Frederick vom Saal, one of the scientists invited to the meeting. In 2014, Walmart sent a letter to its many suppliers, explaining that they would be phasing out a long list of potentially toxic chemicals in the products they sell. Such a move has earned Walmart favorable ratings from groups like Safer Chemicals Healthy Families. Walmart's competitor Target Corp. is now following suit, as we recently reported. The retail giant announced last week that it would demand transparency from all of its suppliers, asking them to list the ingredients in their products and phase out certain chemicals, including flame retardants and phthalates by 2022. 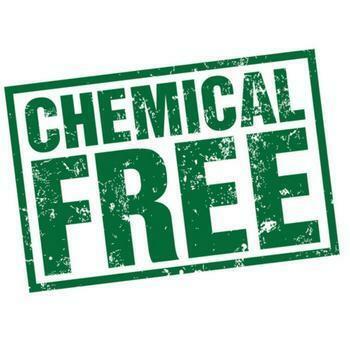 The push for suppliers to remove such chemicals voluntarily comes even as federal regulators continue to drag their feet on regulating those same chemicals. Instead, consumer demand appears to be driving the change. The research firm Mintel has similarly reported that the majority of consumers they survey favor cleaning products that are “eco-friendly” and safe to use. Chemical lobby frets over "market deselection"
Corporations that produce or work with synthetic chemicals have noticed the change in consumer habits too, and they are clearly not happy. Last week, the American Chemistry Council, a trade group representing corporations like Monsanto and ExxonMobil, launched a public relations campaign against the World Health Organization’s chemical and cancer research arm, the International Agency for Research on Cancer, or IARC. 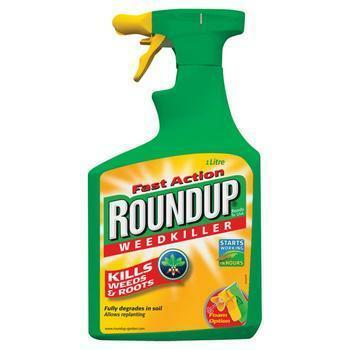 The IARC has stated that certain commonly-used chemicals, such as glyphosate, are probable carcinogens. Though the agency does not have the authority to ban such chemicals from consumer products, the American Chemistry Council put out a release last week essentially complaining that IARC’s research was causing consumers to avoid those controversial chemicals on their own. Biologist vom Saal laughs as he discusses the American Chemistry Council’s campaign “to promote credible, unbiased and transparent science,” as it describes it. “Nobody in science takes anything put out by the American Chemistry Council as science,” vom Saal tells ConsumerAffairs. “It is public relations and it is lobbying and it is all for litigation. It is the antithesis of unbiased transparent process." Vom Saal compares the recent decisions of corporations to voluntarily phase out potentially dangerous chemicals to the measures that local governments and businesses have previously taken to limit exposure to asbestos and cigarettes. The Environmental Protection Agency (EPA) has not implemented a complete ban on asbestos, even as the agency warns Americans that exposure to asbestos “increases your risk of developing lung disease.” The EPA did try to ban asbestos from most consumer products back in 1989, but in 1991 the Fifth Circuit Court of Appeals overturned the EPA’s decision. “It was really the public and litigation that led people to say, ‘Hey, this is very bad stuff,'” vom Saal says. Local governments and businesses have also taken the lead in banning the smoking of cigarettes from their towns, bars, or stores. Now a similar scenario is at play regarding glyphosate, the key ingredient of Monsanto’s weedkiller Roundup. 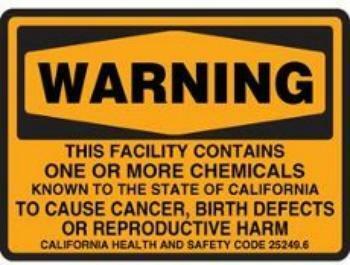 The state of California is planning to put a label on Roundup, warning people that the product contains a possible carcinogen. Monsanto had sued to stop California from doing so, but a recent court decision on January 27 fell in California’s favor. At the federal level, however, glyphosate is not considered a carcinogen. The Centers for Disease Control (CDC), for instance, does not include glyphosate as part of its national health screening program. "You would think the highest use pesticide in the world would be part of their national health screening program,” but if the CDC tries asking Congress for permission to include glyphosate, “they'd probably be disbanded along with the EPA,” vom Saal jokes. (The EPA has not been disbanded, though President Trump has indicated that he would certainly like to do so). Target’s recent move to address controversial substances follows a 2015 decision the retailer made to introduce a “Sustainable Product Index,” or a scoring system encouraging suppliers to identify “chemicals of concern.” Target noted at the time that it had created such a list in response to stakeholder comments. Target’s latest, more ambitious policy "will be one of the most comprehensive in the US. retail industry,” the corporation proudly writes on its website. Public health advocacy groups meanwhile continue to pressure other retailers to follow suit. On January 26 the group Safer Chemicals Healthy Families announced that a collection of investors and consumers were pressuring Costco to develop its own policy in regards to toxic chemicals. “The group will deliver over 35,000 signed petitions from Costco members and consumers across the country who are concerned about the company’s lack of a comprehensive safer chemicals policy,” Safer Chemicals wrote.